Ronnie Nader is practically a one-man space program. 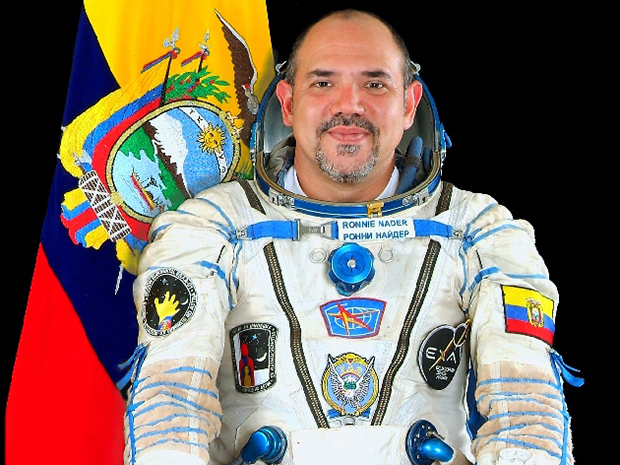 Nader, a systems engineer and Ecuador’s only astronaut candidate, completed four years of cosmonaut training in Moscow in 2007, subsequently helped establish Ecuador’s own “vomit comet” zero-gravity training program, and managed the design, construction, launch, and operations of the country’s first two orbiting satellites in 2013. Of course, Nader is not really alone. The Ecuadorian Civilian Space Agency (EXA), which he founded in Guayaquil in 2007, counts on about a dozen other engineers. Nor is EXA alone in the developing world: Thirty-five developing countries have some kind of space program, the World Academy of Sciences reports. In fact, developing countries have a particular need for space-based assets: Satellites can improve the quality of local weather forecasts, monitor agricultural conditions, regulate land use, guide water management, help respond to natural disasters, and provide dedicated communications for telemedicine in places that otherwise lack Internet connections. EXA’s first satellite, a 2.1-kilogram CubeSat called Pegaso, suffered a collision with a decommissioned Soviet satellite. Happily, the second, Krysaor, was able to pick up Pegaso’s erratic radio signal and help it continue streaming video back home. Here, Nader, who is now working on the next generation of Ecuador’s satellites, explains EXA’s missions and how it approaches them. Read the rest of this article on the IEEE Spectrum website: [html] or in the forthcoming print issue.